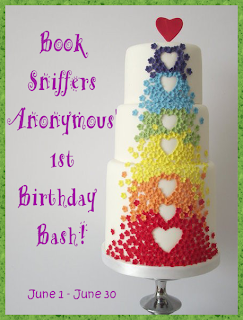 Book Sniffers Anonymous’ 1st Birthday Bash! 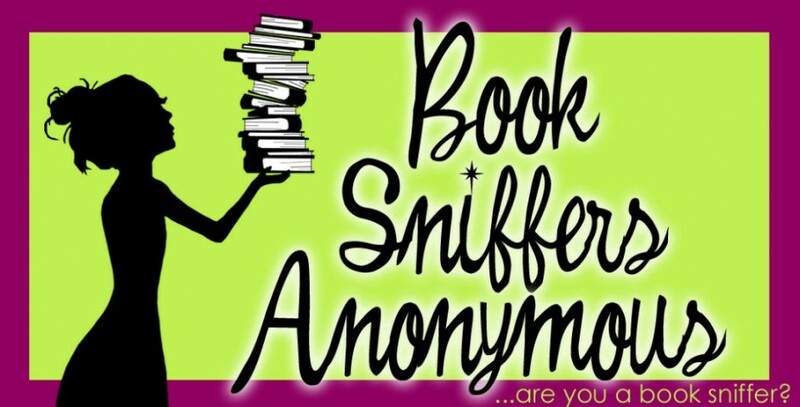 Book Sniffers Anonymous is 1 years old! Okay so technically its birthday is the 19th but I never did have any patience. Plus who wouldn’t want to have a month long birthday party? I know I would! Now I know most of you do bloggiversary’s but this is my baby. I have spent a lot of hours working with it. I contacted the artist who made “The Tree of Books” and asked permission to use it as the header on the blog. He checked out Book Sniffers Anonymous and gave me the green light. (Thanks Vlad!) I also did the blog’s template myself and let me just say that I am not a web designer. Heck, I can’t even draw a circle without it looking like a octagon! I spent days looking over backgrounds, fonts, colors and HTML to get the blog looking the way I wanted it to. I even made the tabs with the little open book for the different sections on the sidebars. And like all bloggers every once in a while I go in an tweak it, mess something up, go back and fix it, only to look at the blog wondering “What’s missing?” It seemed like this year was the year for all websites to get a facelift. I got hit with Twitter, Facebook went next and then Blogger decided to jump on the bandwagon as well. Let me just say that there were a few times where I wanted to chuck the computer across the room. And then I turned around and bought my own domain for Book Sniffers Anonymous. Which may not seem huge for some people but for me it was a big deal. I’ve never had my own domain before. 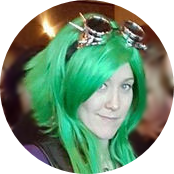 Last but not least, I’ve also met a lot of great people due to having this blog. I feel very fortunate to have met all you awesome people in the one year that Book Sniffers Anonymous has been running. You guys rock!… So now can you see why this is more my baby than just a blog I pop into every once in a while? There may not have been bleeding… but when my a/c broke and it was over 90 degrees (F) in the house, I sweated it out while I typed up my reviews and chatted with you guys on Twitter. As for the tears… I have actually shed a few tears while typing up a review for the blog. You’ll actually get to see that review this week and you will probably know which one I’m talking about. So, in celebration of Book Sniffers Anonymous turning the big 1, I am going to be having a lot of giveaways. I have some authors stopping by to host giveaways, so make sure to swing by for those. I also bought some books for giveaways as well. The list below is just some of the books up for grabs this month! That he’s an immortal warrior and that her powers rise from intense passions would seem to make them a match made in heaven, but unless they embrace their greatest fears, they’ll play out their final match in hell. With a unique voice that critics say, “carves out her own niche-call it paranormal romance adventure comedy,” Stephanie Rowe delivers an irresistible pair of desperadoes dancing on the edge of pure temptation. Happy Birthday!! Great post. Sorry I couldn’t Like on FB. Still locked out until I match names to faces. I’ve had that happen to me before when we were moving across the country. Every night I would try to log onto FB and since we had a lot of gamers (not really friends) on there I was locked out a couple of times. Happy Blogoversary!That cake looks so cool! Happy b’day, thank you for the giveaways. Happy blog birthday!! and thanks for the great giveaways!